I know the past week or so has been a mad rush to fill digital carts with the things you need for the holidays at a discount — hell, I’ve shared my own tips for online shopping like a frugal pro — but I propose we take a minute to think about what we’re doing. Are we really doing any good for our friends by getting them stuff they might not actually want? I don’t know about you, but I’m cutting back on my holiday gift list this year — way back. Before you think I’m just being a grinch, I’m a big fan of the holiday spirit. Truly. I’m huge on Halloween, I enjoy the odd terrible Christmas movie (thanks, Netflix, for providing an unending supply of these this year), and I keep my Hanukiah out year-round to remind me of evenings with my family, standing around the dining table in the dark, singing terribly, and lighting candles. I love it. But every year, I stress myself out looking for gifts for those in my life whom I love, who often don’t need (or even want) more stuff. I know I certainly don’t, and I know they’re doing the same for me. I’ve been diligently putting money towards the line item of “gifts” each month leading up to December, so I can frantically start looking for special hand-made something that my friends or sisters couldn’t possibly already have, but that I think will speak to them. And months later, that handmade lovingly selected something will still sit unused somewhere in their home. I’d like to petition to stop the cycle, please. We’re saving up to buy gifts that end up regifted, trashed, or donated, and stressing ourselves out in the process. Just to tell someone we love them. We can do that without all this hullaballoo and waste. So I propose we cut the crap and stop buying things we don’t want nor need. 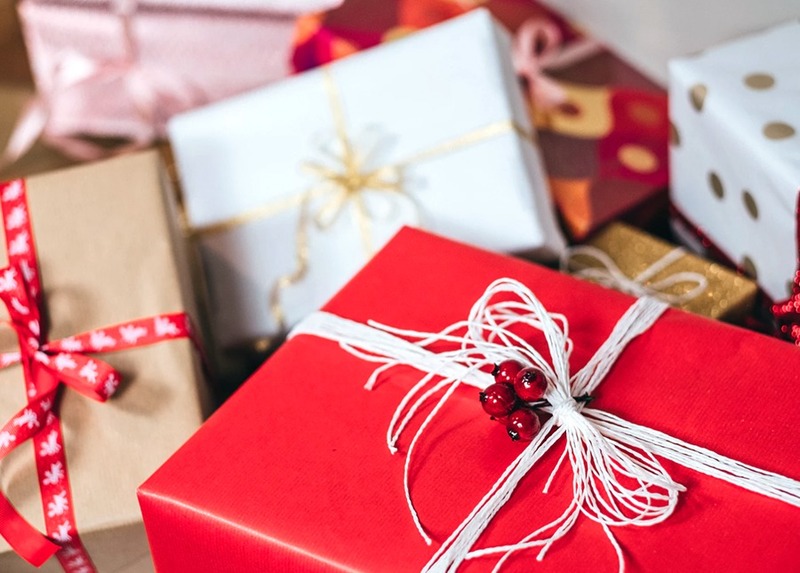 Gag gifts, White Elephants, Secret Santas — all of this is a way for us to enjoy the quick rush of gifting or receiving something that represents a moment of holiday joy, only to create long-term waste. When was the last time every single white elephant gift found its loving home, instead of being taken home by a begrudging party guest? So let’s just… stop. Stop doing it. Stop giving your time, energy, and money to buy kitschy items that don’t provide any real value to anyone. Holiday socks are fun and practical, but are they worth the markup to your friend? Pretty sure they’d be just as happy without the tinsel. And yes, there are some people with whom you can’t be honest and have to provide some sort of gift to meet social expectations. Your boss or your boyfriend’s parents, for example. But for anyone else in your life — your family, your best friends, your partner — now’s a great time to have that conversation. This week, I plan on talking to the important people in my life and let them know that I want to celebrate with them and show them that I love them, but don’t want to blindly throw money at something hoping it gives them holiday cheer, only to create unintentional waste. 1. Shopping day: we’ll go to one of the craft fairs, pop-up markets, or just to the mall and spend the day looking at festive goodies, and if they fall in love with something they’ll truly cherish, it’s on me. 2. A donation to their favorite causes: what better way to celebrate the season than to give the gift of giving? 4. Cash gift: some people would rather have a bit of cash than a new toy, and that’s a-okay with me. Just tell me! I’d rather give you the money directly than spend it on something you might not love. And I’ll also ask that they don’t get me anything, either, or that they do something similar. I don’t want to collect stuff just for the sake of a holiday. I already know my friends and family love me — and I appreciate the thought and care they’ve put into gifts in the past. Really, I do! But I’d rather just spend the time together. Less stuff doesn’t mean any less love. With everyone else, I’ll quietly opt-out of trinket gifting, and instead provide festive edible items — sans packaging. I’ll feel better knowing that something won’t sit unused in the back of a closet for years to come, and my gifting budget can go more meaningfully towards things that people will actually want.